Samsung has finally started to release Android 7.0 Nougat to Galaxy S7 and S7 edge, its two latest flagship phones. Nougat brings a number of new features and improvements to the devices, promising to improve your user experience while offering you even more capabilities. These new improvements include the ability to tweak your phone’s screen resolution. Now, with a new Settings menu, you can change Galaxy S7 screen resolution. The Nougat menu on Galaxy S7 and S7 edge allows you to set the screen resolution to FHD, WQHD, or HD – the lowest of all. While it can arguably help you get more battery life from your Galaxy S7 or S7 edge, you could have your own reasons to have always wanted to have that ability too. Related Android Tips: WhatsApp Can Now Re-Download Deleted Media; No More Storage Woes? Another point to note is that Nougat update defaults to Full HD after installation. 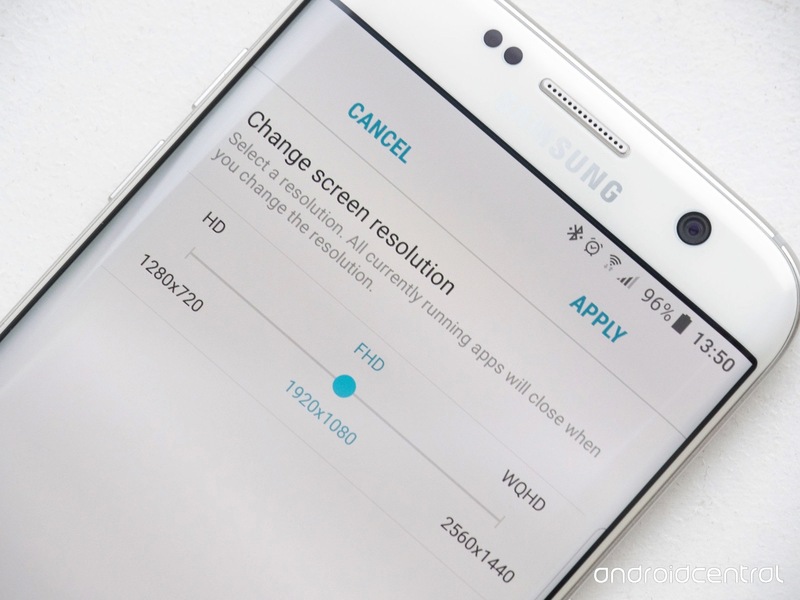 While you may not notice the change, Samsung’s new display scaling options change the default resolution to FHD, but you can switch back to whatever resolution you want by following these steps. Go to the Settings menu on the Galaxy S7 or S7 edge. Scroll down to Display > tap on Change screen resolution. Finally, tap on Apply to save the changes. Now even when you restart your device, it will retain the screen resolution that you have chosen. Don’t forget to let us know about your experience with Android 7.0 Nougat on the Samsung Galaxy S7 and Galaxy S7 edge so far.